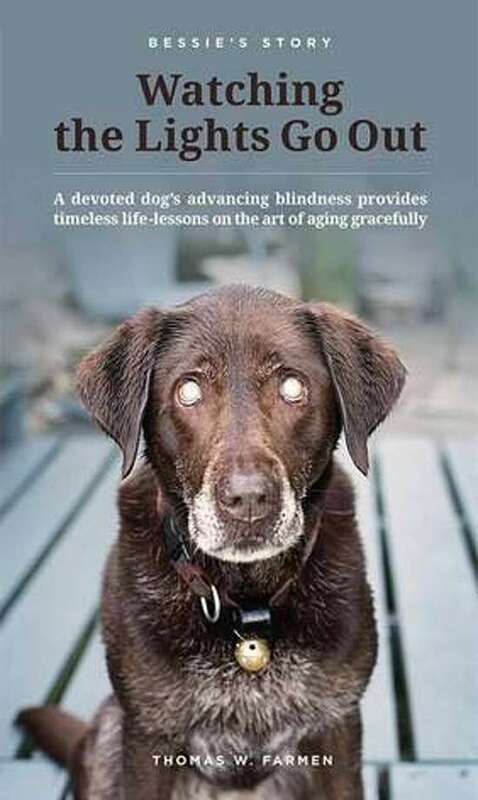 Thomas W. Farmen has announced the publication of “Bessie’s Story - Watching the Lights Go Out,” which is about a chocolate Lab who gradually loses her eyesight. Farmen is headmaster emeritus at Rumsey Hall in Washington. He now resides in New Hampshire. The author leads the reader from the unexpected diagnosis of terminal blindness for his beloved 4-year-old pet through the 2 ½-year transition to sightlessness. In the process, Bessie unwittingly becomes an expert mentor and teacher for the high-wire act of growing older with grace and optimism. The book was launched at a book signing at the Hickory Stick Bookshop in Washington Depot in October. Copies may be purchased at the Hickory Stick Bookstore at 2 Green Hill Road, and online at Amazon and Barnes & Noble. For more information, visit bessiesstory.com.